For Muslims all over India, the holy month of Ramadan is in full swing. The next few weeks will be a time of fasting from sunrise to sunset, for thinking pious thoughts and for devotion to prayer. This time of abstinence from food and drink is believed to provide Muslims with the gifts of moderation, modesty, patience and allows people to experience what life can be like for the needy. Islam is a religion that puts a great emphasis on giving to those less fortunate and Ramadan is an excellent time to put yourself in the shoes of those that may have very little and appreciate their plight. However, it is not all quiet on the culinary front for the entire period. Muslims can take their morning meal, or suhoor, before the sun rises and their iftar, or evening meal, after sunset. To provide a gastronomical reward for these times of piety, many practising Muslims will enjoy a range of sweet and delicious treats at iftar – often sharing these sugary sweets with family and friends. Crumbling mithai, sugary halwa and dates that melt in the mouth like warm caramel, play an integral role at an Indian iftar. After all, this is a country with an inventive and dedicated sweet tooth, a country that views sweets and desserts as a symbol of happiness, hospitality and goodwill. No special occasion, wedding or festival is complete without a sprinkling of sugar to sweeten the affair. Fortunately, Indian cuisine is pretty adept at coming up with suitable sweet offerings – after all, an Indian meal simply isn't complete without a shot of sugar at the end. This creamy delight can be enjoyed at suhoor or iftar. It's a form of sweet porridge, created with the unusual ingredient of vermicelli. The noodles are lightly fried in ghee before full fat milk is poured into the pan to thicken. Nuts, dates and other dried fruits are added, as well as sugar to taste, forming a luxurious dish certainly worth fasting for. 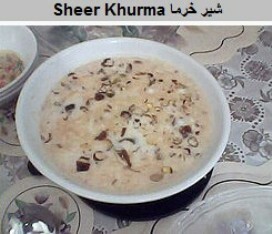 For a comfort food guaranteed to warm your heart at iftar, try a khajoori. These tasty, fried dumplings are created from a dough formed with flour, semolina and milk. 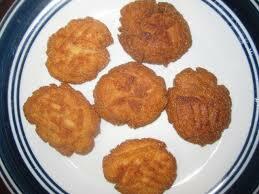 These little dough patties are then deep-fried in hot ghee and eaten warm, often with a steaming cup of chai tea. 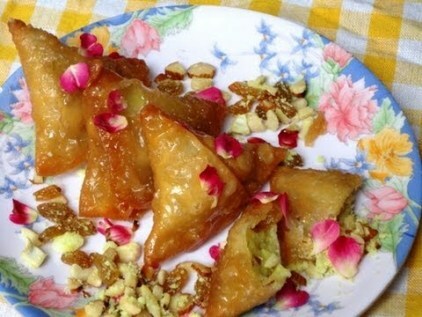 Forget the spiced potato or shredded meat fillings you might expect from the typical Indian samosa; a meetha version of this popular snack will satisfy those sweet tooth cravings. Stuffed with condensed milk, grated coconut, dried fruit and nuts and a smattering of spices including cardamom and cinnamon, this parcel of pleasure provides a welcome reward after a hard day of fasting. 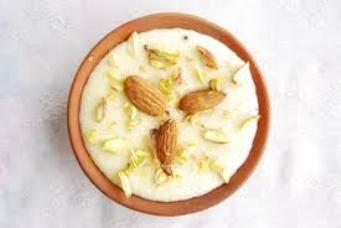 Another creamy concoction that experiences great popularity at Ramadan, phirni utilises ground rice with cream, sugar, milk, rosewater and a few strands of saffron on top. Filling, sweet and satisfying, this dish will leave you satiated and ready for a good night's sleep. Experience classic Indian desserts as well as those given a contemporary twist at Veeraswamy, one of London's best Indian fine-dining restaurants.